Serving Fishkill and the Hudson Valley for 15 years, and now under new direction, we offer technically and artistically superior dance training for all ages and levels. Our programs are designed to provide students with a solid foundation of technique and artistry in preparation for possible professional careers in a nurturing and affirming atmosphere. For those who do not wish to pursue dance as a career, dance classes are an important way to increase self-esteem, creativity, fitness, mental and physical health, social skills, and coordination. Classes emphasize development of correct technique, coordination, poise, movement vocabulary, artistry, and physical and mental discipline. The student's personal achievement level is the primary focus. The training, care, and personal guidance that our students receive provides them with confidence and communication skills that are invaluable throughout their lives. Auditions are held annually for our performance company and full-length ballet production. Annual Full-length ballet productions and Dance Concerts for all styles of dance. Experience the joy of the world of dance. From technique, to artistry, costumes, and sets, we provide an authentic professional quality experience. 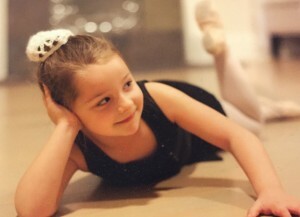 Tutu and Tumble and Creative Dance classes harness your child's imagination and willingness to learn while teaching proper age-appropriate dance technique. Our wide array of classes include: Tutu and Tumble, Creative Dance, Petite Ballet, Jazz/Tap Combo, Ballet, Pointe, Lyrical, Jazz, Musical Theater Dance, Modern, Tap, and Hip Hop.